The design is much better than a photo. The design is much better than a photo. It will be possible to cover with this bag up to 5 days trip. When I traveled, I stored shoes, clothes, sweatshirts, underwear, toiletries, tablets and paperwork and I was surprised to store all those in one bag. When I traveled, I stored shoes, clothes, sweatshirts, underwear, toiletries, tablets and paperwork and I was surprised to store all those in one bag. The size of the bag was very practical like a good climbing bag and it has a sleek design that fits in the city and a comfortable pad on the back. I was satisfied with everything. If you do not have much stuff, you can remove the additional attachment type and use the bag as daily use backpack. I feel like I have two or three bags. It is a size that can be easily worn as a daily backpack. I purchased bagram pack 15. The size and the design are fine, and it is a size that can be easily worn as a daily backpack. The shape of the bag was held so that it was even nicer. And I went 2 days trip a few days ago, and the packing space is wide enough for long-term overseas trips. When I picked it up, I felt a little heavy, but when the bag was so close to my shoulder that it felt so light. There is a rubber band on the length adjustment strap of shoulder and shoe pocket space so you can organize your straps neatly, which looks better and more classy. Just got my Bagram 17 pack today, great product! Other bags often folded or crumpled when shipped, but Bagram Pack arrived without a wrinkle and I am the first to see if the seams are protruding while receiving the goods. I am satisfied that the finish is very good. I like that each item is individually wrapped and the cushion on the back. Well made! At first, I used a bagram pack 15 and exchanged it to bagram pack 17. At first, I used a bagram pack 15 and exchanged it to bagram pack 17 since I thought 15 is small. bagram pack 15 is good for daily use and 17 is good for travel. I think I will continue to use this bag for years. I packed for 10 days trip to Tokyo and it was more than enough. I packed for 10 days trip to Tokyo and it was more than enough. Plentiful packing-space and sleek appearance. Will sure buy another one in the future. I had a bad bag when my loptop crashed but after I changed it to a bagram pack, I have nothing to worry about. I had a bad bag when my laptop crashed, but after I changed it to a bagram bag, I have nothing to worry about. I've considered about a month to buy this bag but it's really worthwhile and well bought. I enjoy the exercise and have been long for a bag with a lot of pockets. The bag that I used before was very uncomfortable because I was getting fattened and sagging, and when I was on public transportation. But compared to it, it is well suited to the body and has much more pockets. Honestly, it's better than I expected. A lot of storage space and size is very good too. Since I’m a breakdancer, I always bring the shoes with me. And shoe pocket of bagram pack caught my eye. In addition to that, a lot of storage space and size is very good too. It's really my taste because it's inspired by military backpacks. Bagram pouches help me a lot to take things out and clean things quick and easy. It is difficult to get a baby stroller with a luggage to travel with a baby, so I’ve been looking for a bag that can replace my luggage. Then I found a bagram pack and I think it would be good if you put a simple article or a diaper or wet tissue in the L Pouch. One adult and baby have a lot of stuff to bring so I bought a bagram pack with all pouches. Baby daddies will know that when you go out to play with the baby, there are many moments you come to the mental breakdown. Bagram pouches help me a lot to take things out and clean things quick and easy. It’s a backpack with plenty of storage space. It’s a backpack with plenty of storage space and the first impression when I received the bagram pack is practical and strong, and if I can use it well, using one bagram pack is better than using several other bags. I am looking to buy more attachment pouches. Bag is big and easy to store. Bag is big and easy to store. I bought it because of the shoe pocket, but when I don’t put the shoes inside, I can organize the shoe pocket and It’s easy to organize things because the bag is open all the way. You can also tuck your shoulder straps in the luggage pass-through strap so no dangling shoulder straps bother you when you carry the bag with a side handle strap. I thought it was impossible to use the military bag as a business bag but ESHENA designed it as possible. I thought it was impossible to use the military bag as a business bag but ESHENA designed it as possible. I admire it. I like it very much. It is the size I wanted. 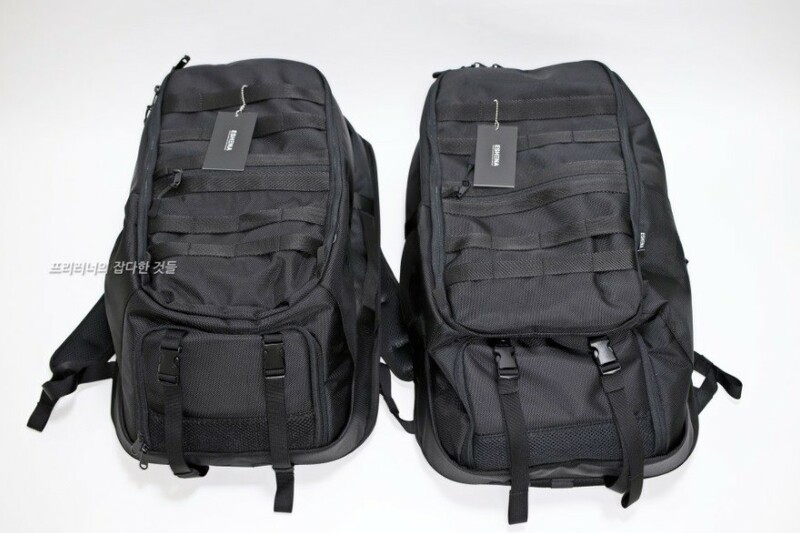 I've been using Samsonite backpack and I always felt it is small, so I ordered the bagram pack 17. I like it very much. It is the size I wanted. I have been going to a trip 5 times already, andt it was very good without any trouble. Thank you so much. Bagram Pack fits just right for my trip. I was little worried if it could be much bigger than I thought but It's right size as I expected. Looks like I can stuff as I want. Bagram Pack fits just right for my trip. I can see that ESHENA team considered people who actually use the bag. I feel like a bagram pack is wrapping my back around my waist so even if I carry it for a long time and I'd feel less tired. I can see that ESHENA team considered people who actually use the bag. You feel less fatigue even if you are wearing it for a long time. I like this because it has better quality than other bags. It gives a close contact with your back, so you feel less fatigue even if you are wearing it for a long time. I even carry the bagram pack for my daily life after I came back from a trip. I walked a 7.5 mile for 6 days with a bagram pack. My legs hurt but shoulders. I carried a camera lens and tripod and it was pretty stable. I even carry the bagram pack for my daily life after I came back from a trip. There is no such bag in the future. This is the best backpack I've ever purchased. I guess that maybe there is no such bag in the future. Thanks. I much like the bag. I much like the bag. I think I need to stuff a bit for using it since it has many functions. My colleagues like the bag as well. The price was reasonable and big enough for my height and It has many pockets. 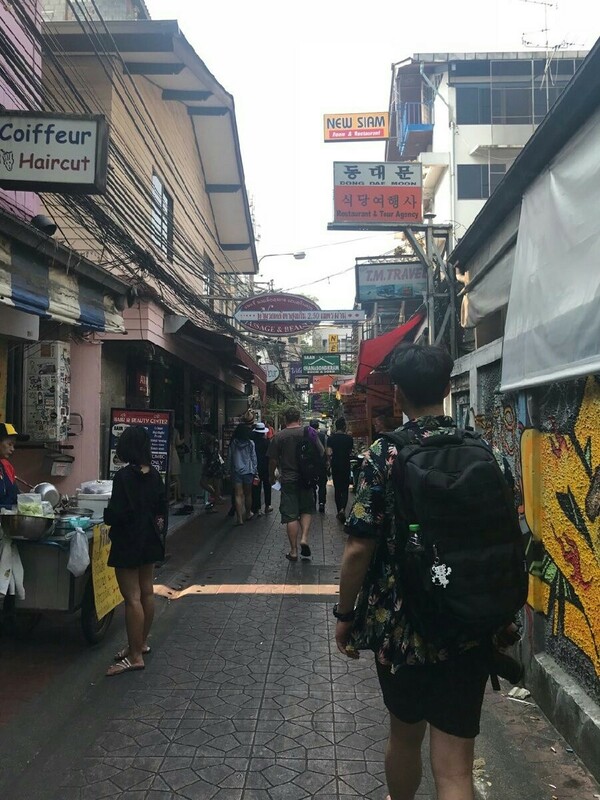 I went to Boracay with a Bagram Pack. I was browsing webs and found a Bagram Pack. The price was reasonable and big enough for my height and It has many pockets. I will definitely bring it again for the next trip to Jeju Island. Better than other tactical bags. Bagram Pack is better than other tactical bags and has bigger space for stuff. I bought it for my husband's trip to Japan. I bought it for my husband's trip to Japan. He's been looking for a backpack that he can carry in a plane and finally found Bagram Pack. He really likes it! I think this quality bag is rare in this price range. As soon as the backpack arrived, I checked the product and leave the review. I think this quality bag is rare in this price range. It is also good for daily use and it can be used when traveling or exercising. I strongly recommend a Bagram Pack. I finally found backpack I wanted. Bagram Pack finally arrived at my workplace and I just waited to go home. As soon as I arrived at home, I just ripped off all the wrapping paper and laid out the components on the living room floor side by side. This is the backpack I've been looking for! 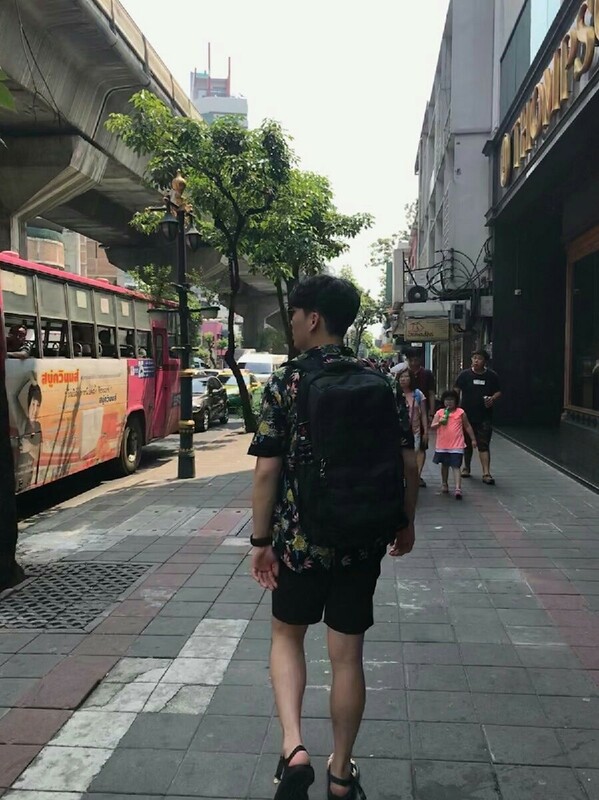 How many backpacks I have been through the time, I was not satisfied with its storage and style. I finally found backpack I wanted. Even if I looked all around bag, I do not see a bad finish, and now all I need to do is carry the Bagram Pack on the trip. The design also looks solid as I thought, and looks practical too. I was impressed by the faster delivery. The design also looks solid as I thought, and looks practical too. The module belt is a little uncomfortable to swallow. Overall I would like to give 4 stars out of 5. One missing point is the price part. I am more satisfied with the personalized military products. I used a Bagram pack for more than two weeks. I used a Bagram pack for more than two weeks. The storage is much more systematic than other bags and it is good enough to take Bagram pack rather than the baggage when traveling. I am planning to travel to Hong Kong in March for 4 days. In addition, ESHENA team and staff are very enthusiastic and deliver fast. I purchased eshena bag for the first time. More than anything else, this bag just fits for backpack trip because bagram pack has enough space to stuff and many pockets. I will check on durability as time goes by. I didn’t buy pouches this time but want to buy them for sure. Please make those kinds of bags more. The bag itself looks pretty stable and quality of it is great and I love it. The bag itself looks pretty stable and quality of it is great and I love it. I tested a bit at home and loved carrying it. Probably this bag will be with on a trip for a long time. Haven’t used all pouches but I pouch is a little bit small for note 8 phone. And bought a rain cover today. Hope this works well on a trip. A module is a sure great idea. I accidentally funded this modular bag through crowdfunding. Bought it for couple bags for a trip and even a full set. Fortunately, I received them before holidays and used it on the way home. And A module is a sure great idea. Bagram Pack 15 has sure less capacity than Bagram Pack 17. Sure that it will be useful. Received the bag well. I didn’t know rain cover wasn’t included. Not sure how well it will work but sure that it will be useful. Thank you so much. And looking to buy other pouches and rain cover as well. Plus, feeling great to get involved in your donation for children. I spent much money for Bagram Pack 15 and this is a review for that. At first, I was little hesitated to buy this bag since it was a bit costly. I work at the instrumental rental shop and am on a business trip from time to time. I have been looking for a backpack that can carry clothes, laptop, and some other stuff at once and saw Bagram pack through facebook. And purchased it from crowdfunding. It was delivered earlier than I thought and better than I expected. It is lighter and more durable than expected. Thank you. I bought it for a family trip. It is lighter and more durable than expected. 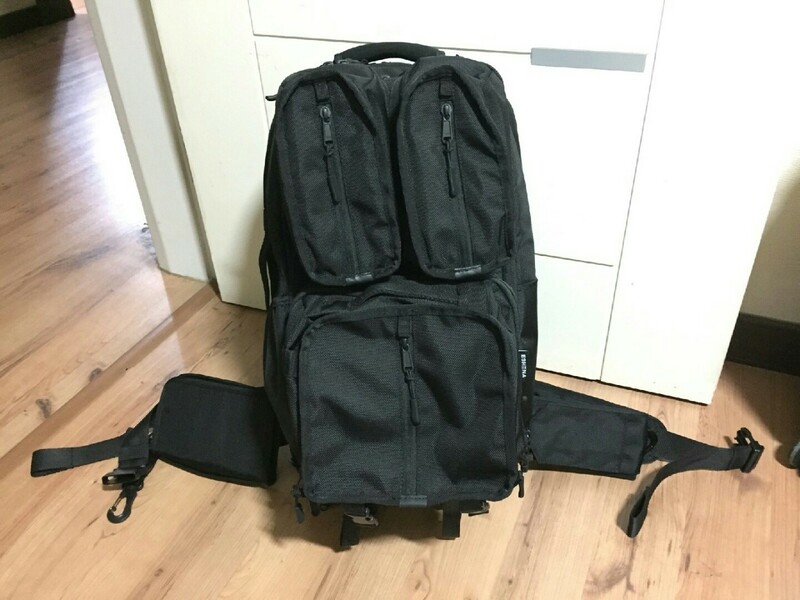 It is the best backpack I have ever bought. It was my first time to purchase expensive bag but i do not regret at all. It was my first time to purchase expensive bag but i do not regret at all purchasing the bagram bag. Delivery was quick and packaging was perfect. Space inside is big enough and there is leftover space after stuffing laptop and other stuff. And it's light. I stuffed same things as I did in my previous bag but my shoulder and waist don't feel weight much. I already heard some compliment from people around. [Product: Bagram Pack 17 Travel Set] I use the bag for three days in Osaka. It was more convenient than I thought. I already heard some compliment from people around. I do not attach any extra pockets, but I think it will get bigger when I attach it. I will be backpacking with this bag next year. I like this bag's durability. I usually carry a backpack, but I am surprised at the large size (17 inches). My wife told me that Bagram Pack would be good for a trip and and I put all my stuff in this bag. And it carries a laptop, an iPad, a charger, a battery, an earphone, and so on. And I like this bag's durability. It is recommended when friends find backpacks in the future. I bought my entire series, the Kabul City Pack, and bought it because I wanted a bigger backpack. I think the size, and space are the best of all. Before I bought the product, I thought it would not be much different in size and space, but it was my mistake. The size is just enough to cover my back. Its practicality is awesome! Bagram Pack is a backpack for my life and It is recommended when friends find backpacks in the future. I am amazed by its versatility, I have never owned a backpack like this. I’ve been using your backpack for the last two weeks for many different purposes and I am really glad I backed you on Kickstarter. I am amazed by its versatility, I have never owned a backpack like this. It has been perfect for traveling by car, plane and train: easy access pockets for laptop, iPad, wallet, headphones, basically everything! The small pocket on the shoulder strap is ideal for earphones! I used it to go indoor climbing and it was great for two reasons: all the loops are the best to attach carabiners, shoes, Bluetooth speakers..again, basically everything. Reason number two: the compressible pocket at the bottom is perfect for storing all the things you don’t want to get in contact with your clean stuff. Also I’m glad I had it with the S pouch and the modular belt which have both revealed to be essential while skiing: the belt, together with the chest strap, keeps the backpack close to your body and the pouch can store more stuff than I thought. Ah one last thing: I love the way the S pouch and the keyring attaches to the buckle, I am a huge fan of magnets and I have to say that it is a pretty clever and ‘fun to use’ solution. Please keep doing the great work you did with this backpack! I give this five out of five stars. Great job you guys! and Gals! The Bagram Pack 17, arrived in a medium sized box, as I opened it I could tell time was taken in preparing this product for shipment. The bag was wrapped in a smooth sturdy plastic bag and all the accessories were individually wrapped. I'm happy for this as in my hemisphere we are are currently in winter season. We had recently had a heavy rain with ice and it held up. I have been using the backpack for a few weeks now. I transitioned all of my belongs from my previous 35L bag. All my day to day belongs and what if type of items fit with no problem. Actually, if anything all the different zippers took some time to realize there function and purpose. However this more of positive then anything else. I took the bag for a small test. Now it was about 80% loaded with a bit of room to spare. The bag holds all the items well and it feels comfortable on your back. I prefer my packs a bitter tighter then most and adjusted the shoulders straps a a bit tighter then how they arrived. The feel and quality of the material is impressive and sturdy. It seems as though it will clean and hold well up to the elements very well. The water proof very front/top zipper/pouch is handy and I tend to store my ipod and electronics here knowing if the bag gets a bit rained on they will be safe. The divider and stuff organizer is practical and straight forward. I have not yet used this to transport my 17 inch laptop but will provide a later update. However I feel the laptop pouch is protective and sturdy enough for my gaming laptop. Overall I have found this bag to be everything and more then what I expected. It has replaced my standard day pack and my gym back with one single bag. Additionally the build is exception and you can tell thought and time was spent in the construction and design of the bag. All the accessory bags are great for the additional functions they provide and the modular nature is a big plus. My only concern is the rear padding insert that rests against your back. The padding is acceptable however my tends to pop forward and back with much movement. For some this may be a minor irritation for others they might not notice. The resiliency of the however seems to have a double function has allows bending and easier access to the laptop pouch portion of the bag. So this may be a trade off. I give this five out of five stars. Great job you guys! and Gals! I hope to see more products and accessories for this bag created soon! I have to thank Eshena for the effort placed into making my Bagram backpack, and I intend to be using it for a very long time. I received the Bagram backpack on the 24th of November, 2017. As far as what I look for in a backpack, the Bagram backpack is quite easily the best one I have ever seen. This is no exaggeration: I have never been as excited for a backpack as I have with this one. The sheer size of this bag makes my old Jansport bag look like a joke, the pockets are much larger than the kickstarter videos make them out to be, had enough space for all my stuff and then some, and the bag holds the weight of all my stuff pretty well and comfortably. Eshena certainly didn't disappoint, and succeeded in fulfilling function and purpose. However, as amazing as this bag is, there is one knitpick and one downside that prevents it from being my idea of full on perfection. The knitpick I have is the water bottle pouch: if you have a 1 liter stainless steel water bottle like I do, there may be a concern of it easily falling out. I was able to remedy this by repurposing the C-clips from the attachment pouches and using them to string keychain rope on the sides. Simple fix, otherwise you likely won't see this problem with smaller bottles. As for the downside, the RFID pouch zipper is the only zipper that doesn't have a lock loop on it. Considering you'll likely have passport, IDs, etc. in this pouch, the inability to put a airport lock easily on the zipper can be a bit unsettling. However, since the pouch is very skinny, I managed to sidestep this by having the RFID pouch securely inside the backpack. Other than those two, this backpack went beyond expectations. I have to thank Eshena for the effort placed into making my Bagram backpack, and I intend to be using it for a very long time. I received my package on the 9th of this month in excellent condition. I received my package on the 9th of this month in excellent condition. The quality looks great and all my items are in order. I've tried out the magnetic locking system and I must say it is a very practical and cool design. I've showed it to a number of people and they are all amazed by how easy it works. It'll certainly allow me to configure the Molle system a lot more often and even on-the-go. Thanks for coming up with such a great product. I have yet to try out the Bagram bag itself at this moment as I'm still using the Kabul City Pack, which easily survived my constant daily usage ever since I got it. 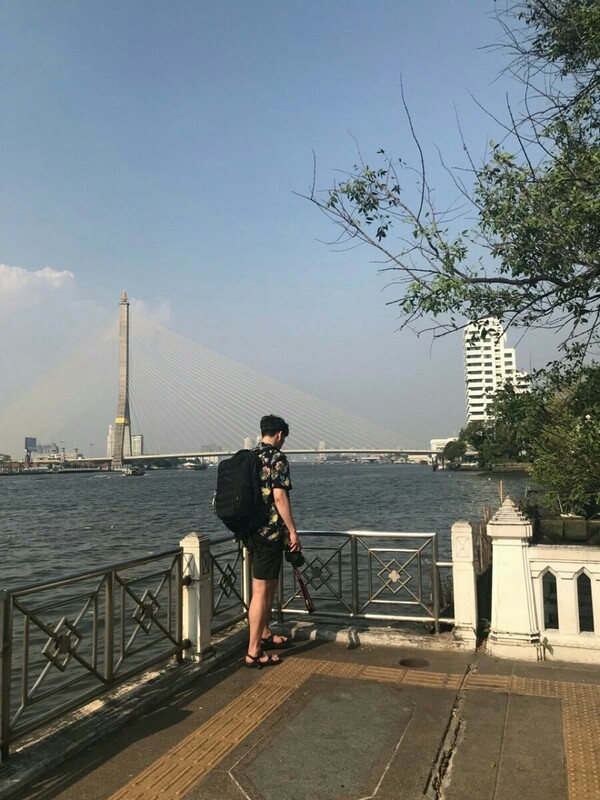 I must say that I have high regards for the Kabul City Pack and that it truly is a high quality product that will serve me for a lot longer than any other bag would.